The Humanities comprises fields of study characterized, like Science, by ongoing experimentation and innovation. What distinguishes the Humanities from other modes of inquiry is its particular attention to the human experience — including the study of issues, objects, values, and questions of enduring interest for our lives as human beings. For information on the range of Humanities disciplines taught at MIT, visit the TOUR de SHASS. For more on the powerful role of the humanities in an MIT education, visit our Mission page. The work going on in digital humanities and new media is one expression of the innovation that characterizes the Humanities more broadly. Using computational tools and methods, humanities scholars are opening new lines of research and discovery, revitalizing the study of objects from the past, and asking questions never before possible. 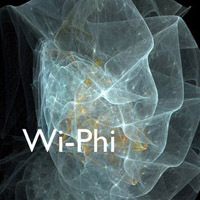 This page presents a gallery of some of the digital humanities projects and research underway at MIT. MIT Digital Humanities enables faculty and staff to be in residence in the lab and to work closely with undergraduate students, postdocs, and technical professionals to create projects related to their research and teaching. In the DH Lab, MIT students harness their skills in computer science and programming to advance the state of knowledge in the humanities and to help empower other researchers and enthusiasts to use digital tools. MIT DH also hosts a lecture series, visiting scholar residencies, and hackathons. Additional courses in DH are planned, culminating in a graduate certificate in Digital Humanities. All code from the project is open source and hosted on GitHub. Developed in MIT SHASS, the new online tool "Annotation Studio" promises to improve upon traditional techniques for entering marginalia and side notes in books — enabling readers not only to annotate texts across media, but also to share comments with others and to enhance them with links, images, video, and audio. First offered in the Spring 2013 term "Digital Humanities: Topics, Techniques, and Technologies" gave MIT students the chance to pair humanities insights with technical know-how on projects with real-world applications—including innovations for the Institute of Contemporary Art and the Isabella Stewart Gardner Museum. Students were introduced to key digital humanities concepts, including data representation, digital archives, user interaction, and information visualization, then given opportunities to apply these to a variety of challenges. Because this class took place at MIT, many students were adept at computer programming, so they were able not only to conceptualize what kinds of tools might prove useful to their clients — they were also able to build them. "Digital humanities" is an approach that couples humanities subjects with computational approaches for research and teaching, and creative production. Digital humanities projects use such tools and methods as web-based media, digital archiving, data mining, geo-spatial analysis, crowdsourcing, data visualization, and simulation. At MIT, digital humanities scholars use and create new tools for research and teaching; they also conduct scholarship about new media forms. A central goal is to provide individual digital humanities project participants flexibility in modeling, analyzing, and presenting their materials as they choose — while also allowing researchers to combine features from other projects in innovative ways. Projects to date include Annotation Studio, Comédie Francaise Registers, Cultura, Berliner sehen, Arab Oral Epic, among many others. "This course focuses on big questions. You will learn how to ask them and how to answer them." MIT Philosopher Caspar Hare presents the first introductory philosophy MOOC (massive open online course) offered by an American university. In "24.00x, Introduction to Philosophy: God, Knowledge and Consciousness," Hare leads students through the fundamental questions that underlay our understanding of existence, while grounding them in the basic practices of analytical philosophy. Education Arcade and Learning Games Network Creative Director Scot Osterweil and his design team received Game of the Year Honors at the 2013 Games for Change Conference for their new game Quandary. Quandary is a free, online game where players, age 8-14, shape the future of a new society while learning how to recognize ethical issues and deal with challenging situations in their own lives. Directed by MIT Associate Professor of Digital Media, Nick Montfort, Trope Tank is a lab for research, teaching, and creative production. It develops new understandings of digital media by focusing on the material, formal, and historical aspects of computation and language. For information on the full range of Humanities, Arts, and Social Science disciplines taught at MIT, visit the TOUR de SHASS. "We will be hiring about 6,000 people this year—and probably 4,000-5,000 from the humanities or liberal arts." "The humanities help create: opportunity for all Americans, innovation and economic competitiveness, productive global engagement, and strong communities."